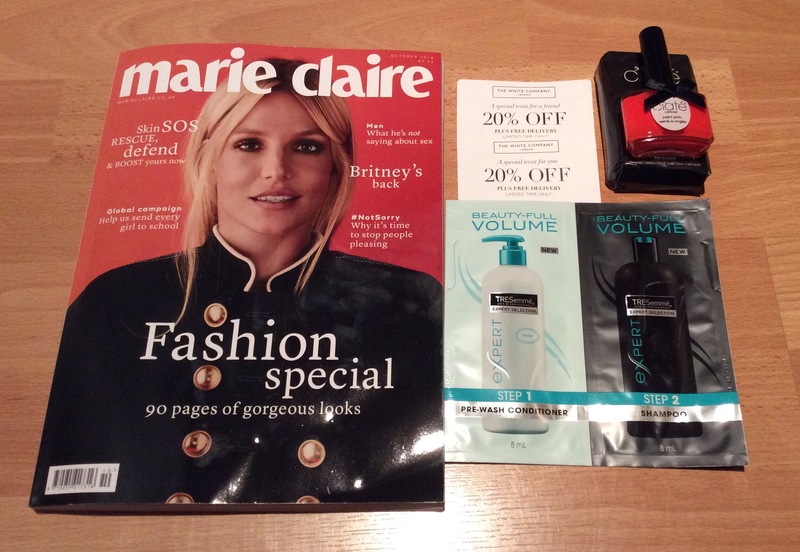 Marie Claire = £3.99 – Full Size Ciate Nail Polish (13.5 ml) – worth £9.00 choice of four colours – I chose the ‘The Glossip’ – beautiful bright peach/orange colour and free sample sachet of Tresemme shampoo/conditioner and discount codes/ cards included within magazine. Subscribe to Marie Claire from £18.99 for 12 issues by Direct Debit (DD) – free St Tropez set worth over £29 with subscription – (see photos below for details) states for first 300 subscribers however usually an offer on so if this particular offer has finished just check online. InStyle = £3.99 – Choice of a free Neal’s Yard Remedies Geranium & Orange Hand Cream or Body lotion – both worth £10.00. 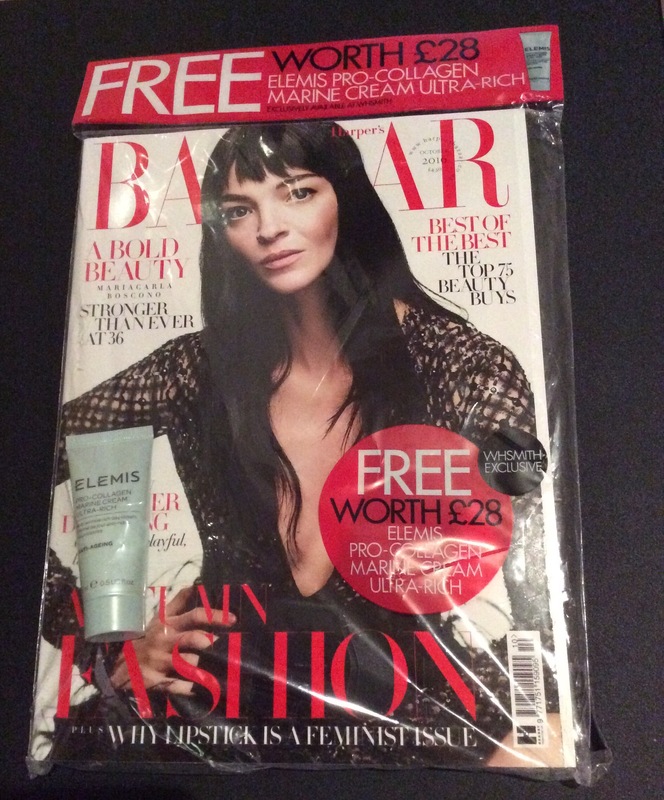 Harper’s Bazaar = £4.50 – Free Elemis Pro-Collagen Marine Cream Ultra Rich – Anti Ageing – 15ml worth £28.00. Subscribe to Harper’s Bazaar from £6 for 6 issues by Direct Debit (DD) – free REN Flash Hydro Boost worth £34 free with subscription – (see photos below for details) states for first 200 orders and valid to 30.09.16 however usually an offer on so if this particular offer has finished just check online. As advised previously each month I will update that month’s magazine freebie post when I see additional magazine freebies or when relevant offers become available. (once again a reminder that magazines always dated month in advance i.e. you get the October issue in September).